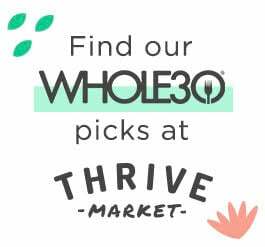 The NEW Whole30 Cookbook is Here! It’s here, it’s here! 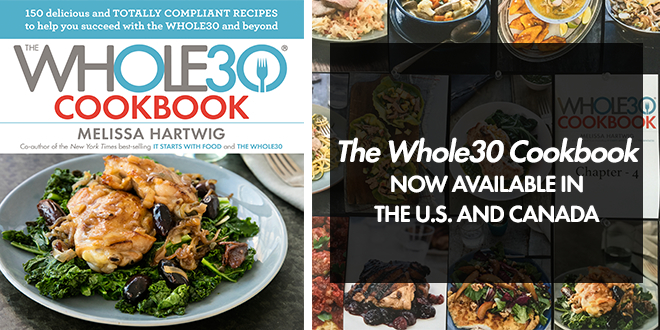 The Whole30 Cookbook is available today from a U.S. or Canadian bookstore near you! 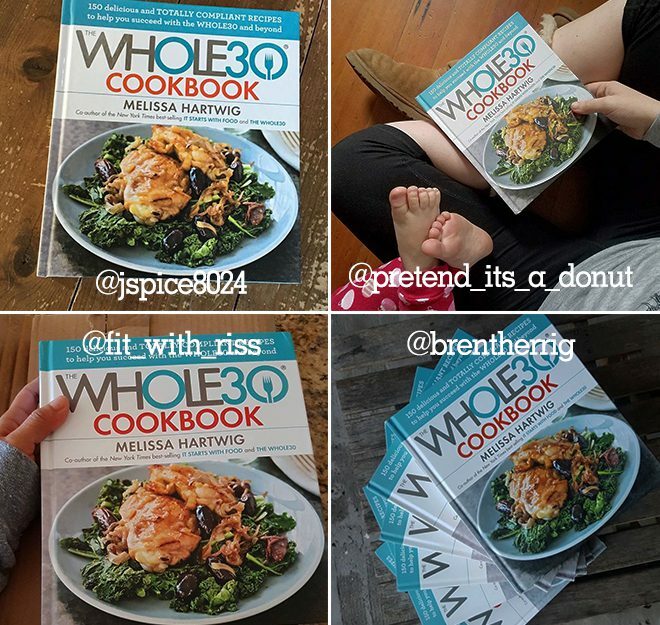 After months of waiting to share this new collection of recipes with our Whole30 community, we’ve been thrilled to see your photos of the book start to pop up on the #Whole30Cookbook hashtag on Instagram. Today Melissa is in New York City to celebrate the release of the book. 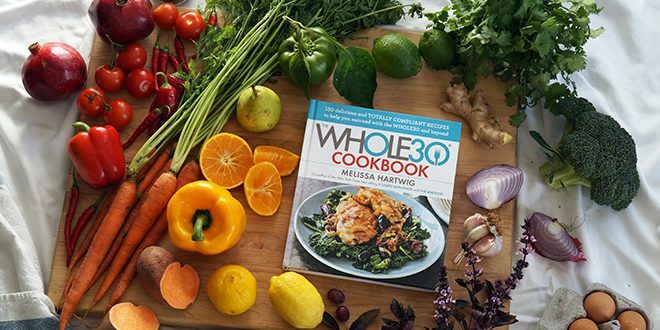 Stay connected to our Instagram, Facebook, Twitter and Snapchat (add us by user name: whole30) for a behind the scenes peek at the Hu Kitchen release party, and to stay in the loop about where to catch Melissa. In the meantime, keep reading for a FAQ about The Whole30 Cookbook, and an exclusive recipe from the book. How is this cookbook different from The Whole30? It’s always our goal to keep the Whole30 as accessible to as many people as possible, and that hasn’t changed with The Whole30 Cookbook. Some recipes use fun ingredients like coconut aminos or Mexican spices, but plenty can be made with stuff found at any grocery store. For the handful of recipes that do call for something out of the ordinary, those ingredients are also easily sourced online. Can I still find fast and easy recipes for a busy weeknight? Yep. There are lots of recipes here that will work for weeknight dinner. Our favorites are Mediterranean Bison Burgers with Grilled Green Onions and Ripe Tomatoes; Spicy Apricot-Stuffed Boneless Chops with Arugula Pesto; Turkey Larb; and Grilled Halibut with Asparagus.  What are Recipe Remixes and how do I use them? The Whole30 Cookbook also includes recipe variations—what Melissa calls Recipe Remixes—so that you can make two or three meals out of just one recipe, maximizing your kitchen effort and saving valuable prep time. You’ll find these sprinkled throughout each chapter, so take note of quantities, as some remix “foundation” recipes will call for you cooking 3-4 lbs. of meat all at once, to be used in meals for the next three days. What else is cool about this book? Okay, last question. Are these recipes new? This is by far the most frequently asked question we get about The Whole30 Cookbook. 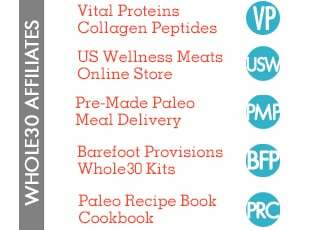 Yes, they’re 99% new (save for some foundational recipes, like Whole30 May or Bone Broth). And might we add, they’ve been beautifully photographed by our friend Brent Herrig. Ready for a sample? Let’s get cooking! Pairing the sweetness of fruit—in this case, pears—with mildly bitter greens such as radicchio and escarole creates a wonderful balance of flavors. PREHEAT the oven to 425°F. Place the pears in a baking pan and drizzle with the olive oil. Lightly season with salt and pepper. Roast the pears for 20 to 25 minutes, turning once or twice, until tender and beginning to caramelize. Let cool. WHILE the pears are baking, place the chicken breasts between two pieces of plastic wrap and use the flat side of a meat mallet to flat¬ten them to [1/4] -inch thickness. In a shallow dish, combine the coconut flour, almond flour, Italian seasoning, garlic powder, lemon peel, and salt. In another shallow dish, whisk together the egg and water. Dip the chicken into the egg mixture, then into the seasoned flour to coat both sides. HEAT the olive oil in a large skillet over medium heat. Add the chicken and cook until golden, 2 to 3 minutes per side, adding more oil if needed. IN a small bowl, whisk together the olive oil, vinegar, shallot, mustard, salt, and pepper. Place the radicchio and escarole in a large bowl; drizzle with some of the vinaigrette and toss to mix. 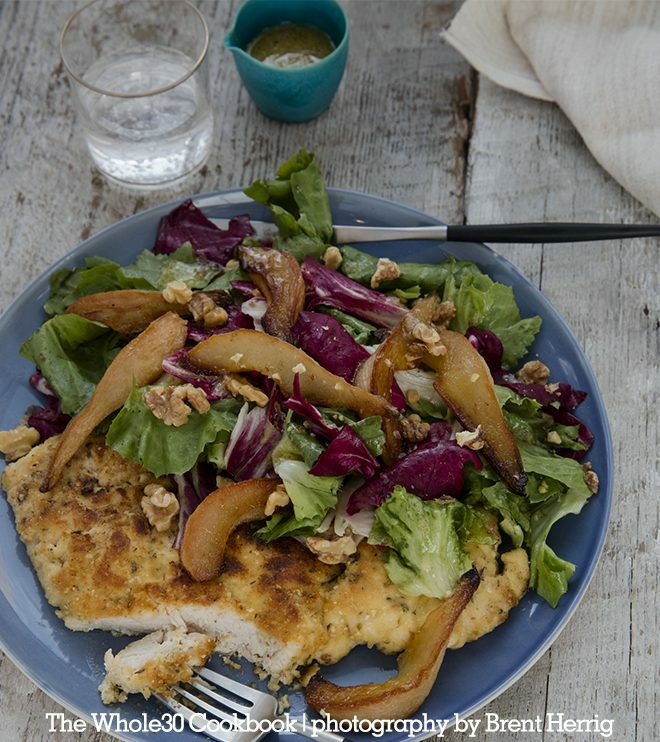 SERVE the roasted pears on top of the salad and sprinkle with walnuts. If desired, drizzle with more of the vinaigrette. Serve the chicken with the salad. Post photography by Laura Meiner. Recipe photo by Brent Herrig.